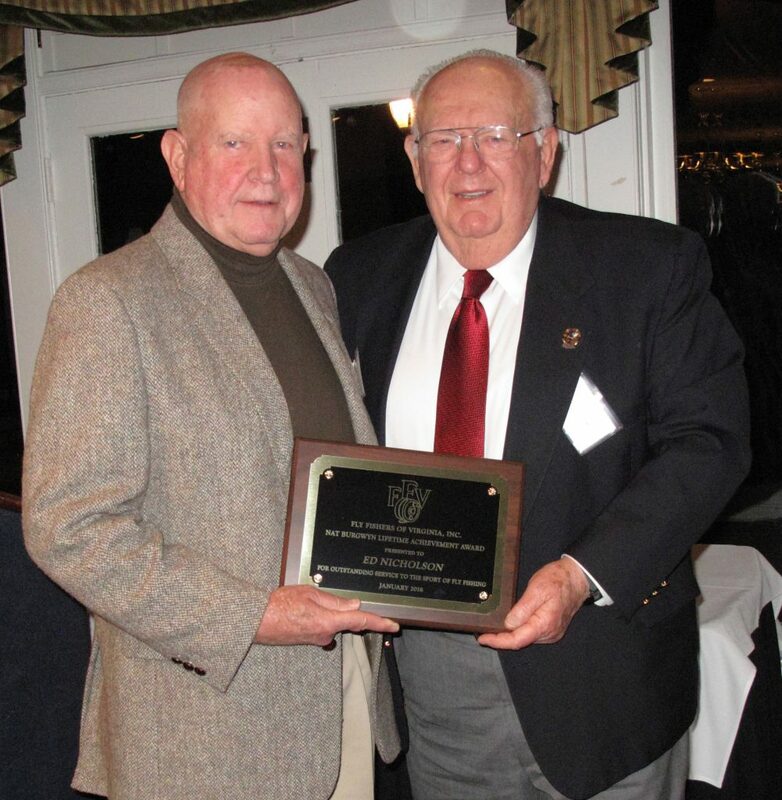 FFV president Tom Mlot (R) presenting Richard Roadcap the Kenny Grandstaff award. 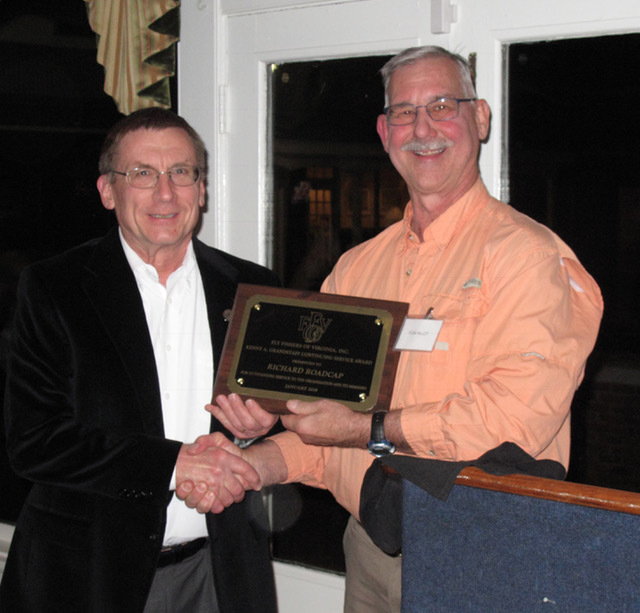 At our January Annual Banquet FFV Ex-officio Richard Roadcap was presented the Kenny Grandstaff Continuing Service award for his many years of dedicated service to the Fly Fishers of Virginia. 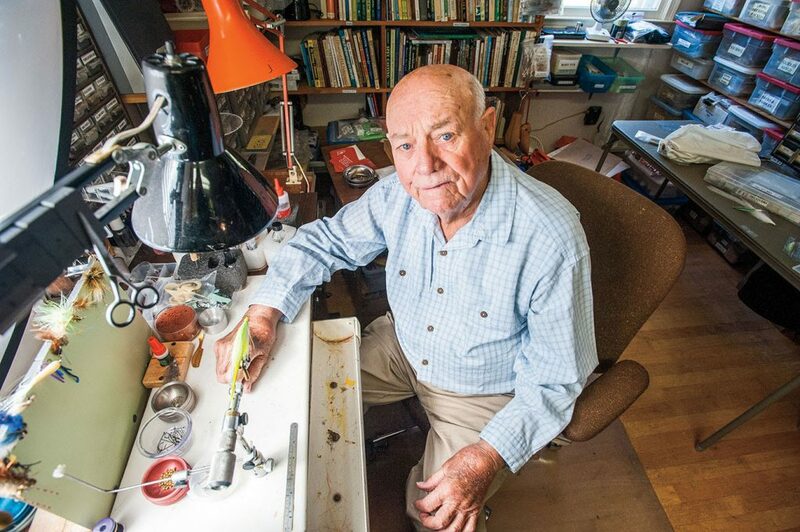 Fly fishing legend Bernard ‘Lefty’ Kreh passed away March 14, 2018. Lefty was very kind to the FFV over the years. 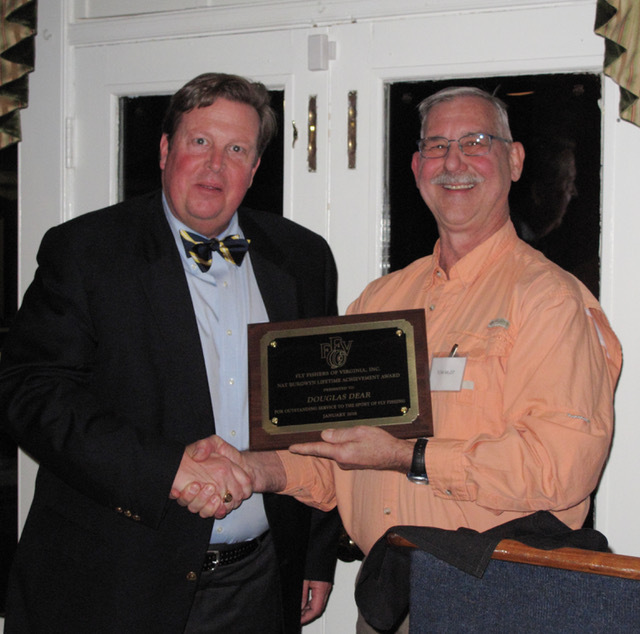 We had him visit with us as a dinner speaker on several occasions and he was good friends with several of our club’s members. Here is a fitting tribute by his longtime friend Flip Pallot. 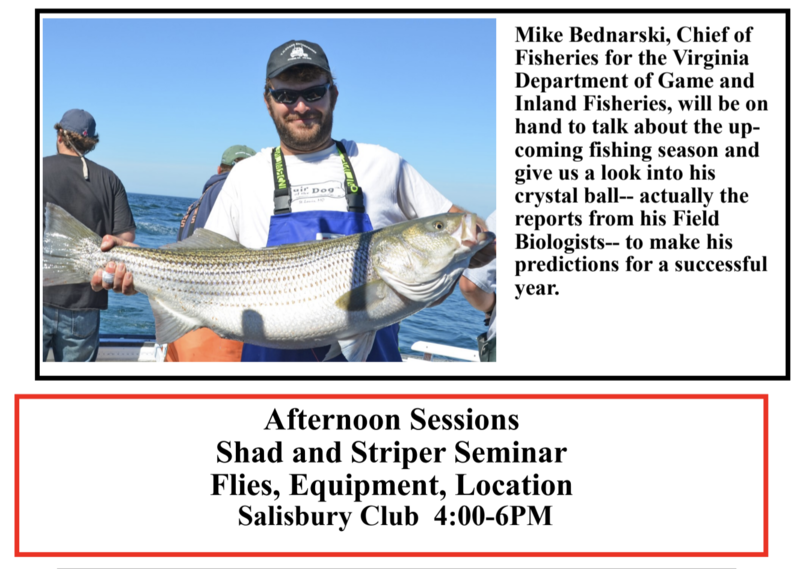 Our Thursday, March 15th dinner meeting speaker will be Mike Bednarski, Fisheries Director of the Virginia Department of Game and Inland Fisheries. Mike will talk to us about the ‘state of our fisheries’. 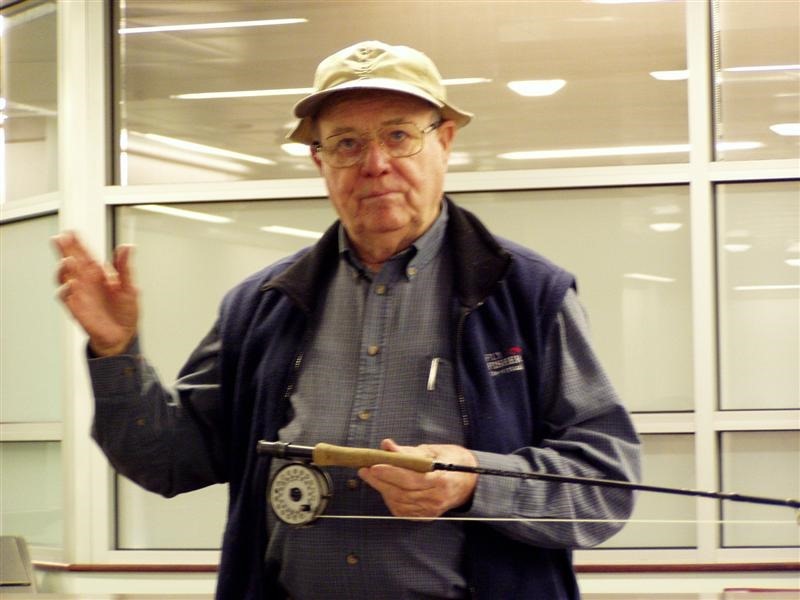 Join us on January 27th, 2018 for our Fly Fishers of Virginia Annual Banquet. I have had so much fun pretending to call fly fishing photography work, that I still describe this endeavor as a ‘hobby out of control’. 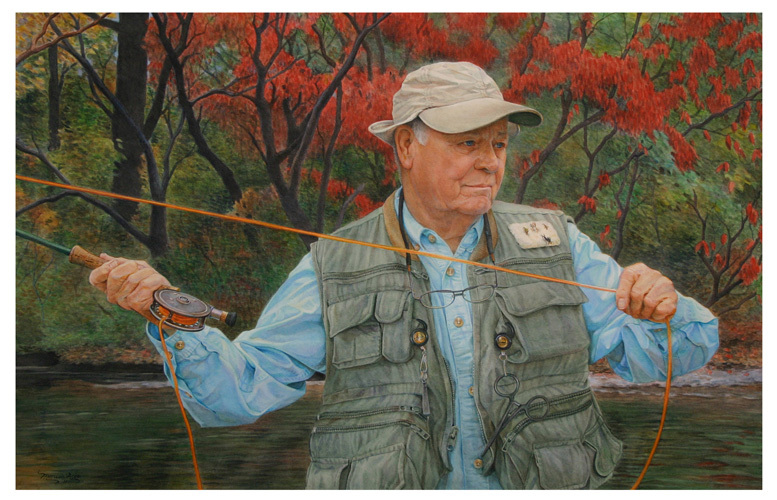 I sold my first fly fishing photograph when I was 16 years old, and let me tell you, that was a fairly long time ago. Since then, it has been my absolute pleasure to work with some of the finest publishers, magazine and photo editors and graphic artists in the world. I consider the following publishers of fly fishing photography some of the finest, and thank you for using me as a contributor: Field & Stream Magazine, USA Today, The Drake Magazine, Outside Magazine, American Angler Magazine, Orvis, Patagonia, Fly Fisherman Magazine, Outdoor Life Magazine, Catch Magazine, Fly Rod and Reel Magazine, Northwest Flyfishing Magazine, Voyage de Pesch Magazine, Oregon Tourism, Chile Tourism… I could go on and on, especially with the addition of blogs and all the websites for fly fishing lodges, products, travel companies, etc. It has been a good ride and thanks to everyone who has helped me along the way. I am more of a shoot from the hip photographer. I rarely use a tripod and I usually have to put down my fly rod or the oars to organize a shot. My style is basically editorial in nature and natural. I do not use professional models or fancy lighting. If I did, I couldn’t call this a hobby out of control. I have a very deep collection of images. From my backyard pond, here in Oregon, to far flung destinations like Alaska, the Bahamas, Chile, Argentina, New Zealand, Tonga, England, Mexico, Belize, Sierra Leone, Christmas Island and many more. 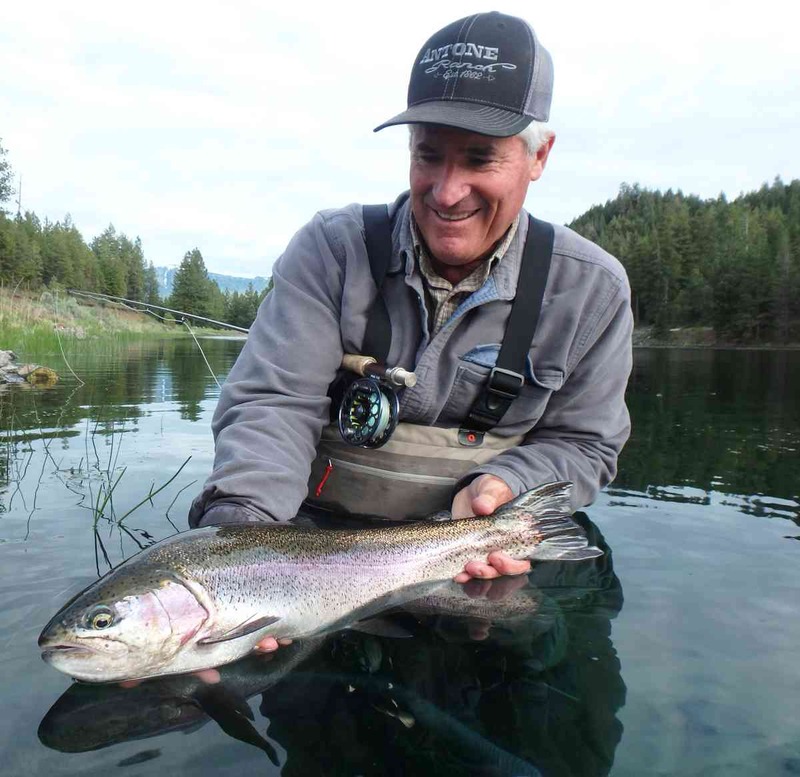 Every decent fly fishing photographer has these kinds of lists, also. But, I have a little more time on the water than most. For example, I have made over 50 trips to Alaska and over 30 trips each to the Bahamas and Belize. Let me know what you are looking for, I’ll probably have it.